Happy Sunday from Austin. While you slept, your phone sprang ahead. Situational awareness ... "Schools brace for massive student walkouts over gun violence, per AP: "[P]rincipals and superintendents are scrambling to perform a delicate balancing act: How to let thousands of students exercise their First Amendment rights while not disrupting school and not pulling administrators into the raging debate." The coverage called him unleashed, unplugged and unscripted. The targets: "[W]e have to defeat Nancy Pelosi [boos] and Maxine Waters, a very low IQ individual. You ever see her? ... 'We will impeach him.' She's a low IQ individual. You can't help it. She really is." The taunts: "Fake as hell CNN. The worst. So fake! Fake news. ... Their ratings are lousy, by the way. Compared to Fox ... "
The tales: "The president of Mexico ... called up. He goes, 'Mr. President, we would like you to make a statement that Mexico will not pay for the wall.' I said: 'Are you crazy?' ... I said: 'Bye-bye. We're not making a deal.'" The boasts: "Look, North Korea's tough. ... This should have been handled, by the way, over the last 30 years — not now. ... This should have been handled, and everybody will say it, too. But that's OK. Because that's what we do: We handle things." The opposition: "I'd love to beat Oprah. I know her weakness." The issues ... Death penalty for drug dealers: "You can kill thousands of people and go to jail for 30 days. ... I don't think we should play games. ... Probably, you'll have some people that say, 'Oh, that's not nice.' ... I think it's a discussion we have to start thinking about." The "Did he really say that?" moments: “Women! We love you! We love you. Hey, didn’t we surprise them with women during the election? Remember? ‘Women won’t like Donald Trump.’ I said, have I really had that kind of a problem? I don’t think so." The exaggerations: Trump said he got 52% of the women's vote. An AP fact check notes that exit polls found he got 41% of women (52% of white women, 25% of Hispanic women and 4% of black women). The family: "You take Melania ... great first lady. ... You think her life is so easy, folks? Not so easy." Be smart, from Axios' Jonathan Swan: One problem the White House faces is that Trump wants to be out there, raw and uncensored, barnstorming the country for 2018 candidates. But, a lot of vulnerable Republican House members want Trump nowhere near their districts. 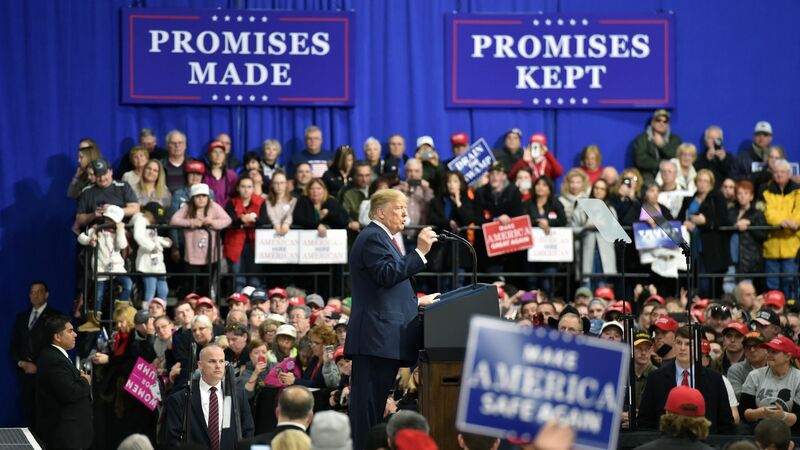 Watch for the White House to send Pence to some of the places where Trump isn’t wanted, and to save Trump for larger rallies in the states where he’s still quite popular. N.Y. Times' Maggie Haberman and Michael Schmidt: "President Trump is in discussions with a veteran Washington lawyer [Emmet T. Flood] who represented Bill Clinton during the impeachment process about joining the White House to help deal with the special counsel inquiry." 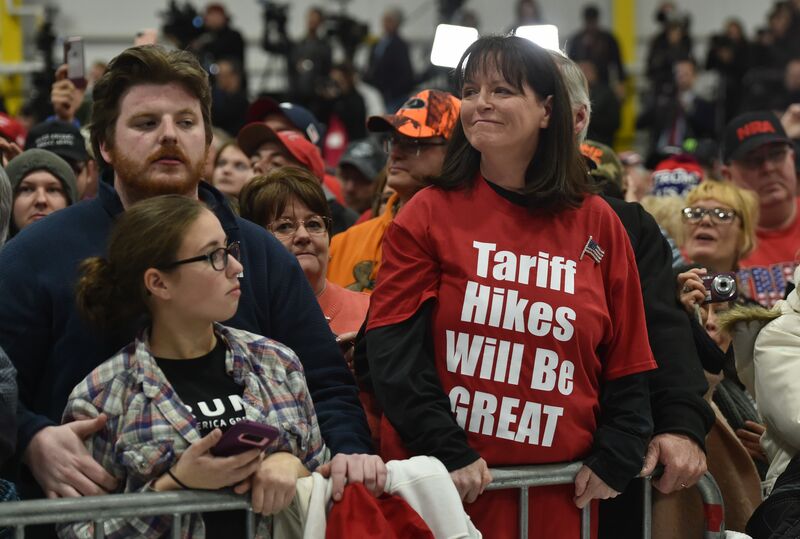 N.Y. Times' Maggie Haberman and Jim Tankersley: "Trump is strongly considering Christopher P. Liddell, a White House official who was an executive at Microsoft and General Motors, to succeed his departing top economic adviser, Gary D. Cohn." WashPost's Dave Weigel: "Democrats took their first official steps Saturday to reduce the power of unpledged delegates in presidential primaries, with the Democratic National Committee voting to “revise the role and ­reduce the perceived influence” of superdelegates before the next election." Still working it ... Dan Rather, 86, chats with Daymond John of "Shark Tank," 49, at the 8th annual Fast Company Grill at SXSW. 5. "Let them call you racists"
A majority of voters in nine out of 10 states that voted for Trump, and have Democratic senators up for reelection, support the DACA policy on immigrants brought to the U.S. illegally as children, according to new Axios/SurveyMonkey polls. And majorities in every state think that undocumented immigrants working in the U.S. should be given a pathway to citizenship. Go deeper with Axios' Stef Kight. 7. "The news forgets ... Very quickly"
Cullen writes: "I have followed school shootings since Columbine, nearly 19 years ago, and I’ve never seen anything like the #NeverAgain kids. I swore I’d never go back to another of these crime scenes, to report another story of misery and horror. I went to Douglas because it’s radically different this time." Why it matters: "The Douglas kids seized their destiny on day one and willed it into a story of astonishing hope and drastic change." First in Axios AM ... Josh Kushner — a venture capitalist and entrepreneur who founded Thrive Capital, a venture capital firm; Oscar, a health insurance company; and Cadre, a real estate investment platform (and brother of Jared) — has quietly donated $50,000 to March for Our Lives. Despite their self-description as "spoiled" and "entitled" (Axios/SurveyMonkey poll), studies also show millennials are more financially responsible than prior generations — saving more, taking less paid time off, and worrying more about stability. Fun fact: There's a trend in young people becoming farmers, and old-timey jobs like bartenders, barbers, butchers, craft brewers, bookbinders, furniture makers and fishmongers. These are making a comeback in gentrifying, working-class neighborhoods like Brooklyn, Portland and Pittsburgh. Go deeper ... Axios' Stef Kight studied the stats on her fellow millennials. 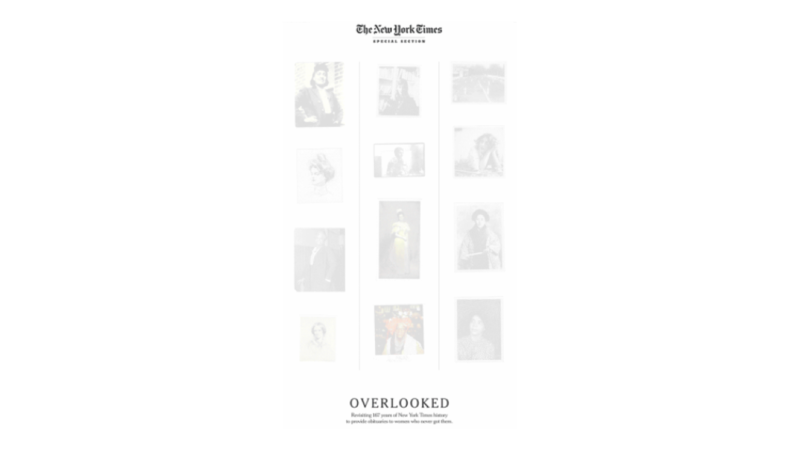 This has been hot online this week, but it's a special section in today's print New York Times: "Overlooked" — obits for some of the most famous women of their eras, who were ignored by The Times upon their death (12 in print, 15 online). Now, they get the due, as The Times "seeks to make amends for a systemic, gendered injustice." "Since 1851, obituaries in The New York Times have been dominated by white men. Now, we're adding the stories of 15 remarkable women." "This week I wrote the obituary of Sylvia Plath, the poet and the author of 'The Bell Jar' (a staple of high school and college reading lists) ... Plath died on Feb. 11, 1963, at the age of 30." Why it matters: "By becoming a household name even without the benefit of an obituary, Sylvia Plath had proven her worth more than many of the people we write obituaries about. Half a century later, how many of them still matter?" "The first page was left mostly blank to allow the images on the next page to bleed through the newsprint onto the cover, leveraging an ordinarily restrictive condition of the medium: It’s so thin that it’s semitransparent." "We also printed a faint mirror image of each portrait on the cover to bolster what bleeds through. These ghostly outlines suggest that the portraits are trace artifacts." "Recorded and produced over the past year, 'Caliphate' follows Callimachi as she searches building after building in the city of Mosul, collecting thousands of pages of secret papers from al-Qaeda’s North African branch, showing how they governed and answering the disturbing question of their longevity." 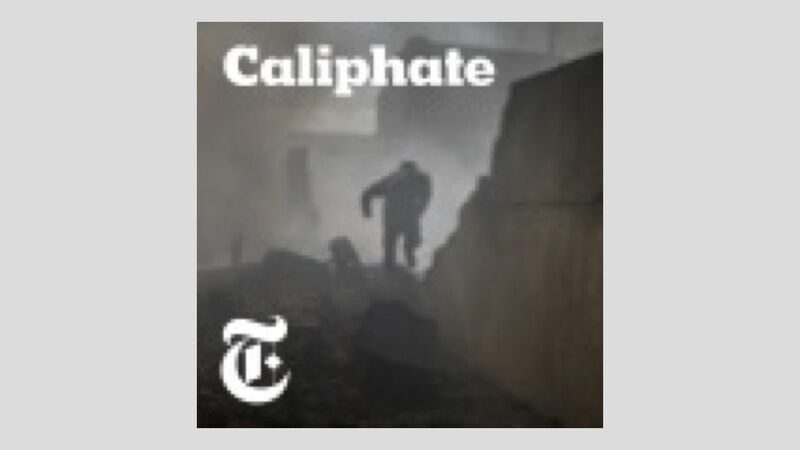 "Listeners can find a teaser of 'Caliphate' now at NYTimes.com/caliphate." "In the half-decade since the wry study of startup culture premiered, the ground has shifted beneath it — the public perception of the tech industry has dimmed considerably, as has the general appeal of a TV show built around five single bros."
Why it matters: "When Silicon Valley premiered in the spring of 2014, Uber was still a controversy-free ride­sharing service and Facebook had yet to taint a presidential election. Back then, entrepreneurs were just starting to become celebrities, and celebrities entrepreneurs, and an HBO sendup — as Entourage had been to Hollywood — would solidify the shift from opaque subculture to pop mainstream." "Though instances of harassment and discrimination have surfaced all over the tech industry, there will not be storylines drawn from, say, the various scandals at Uber or Ellen Pao's lawsuit against Kleiner Perkins. ... So, for the time being, the show will stick to poking fun at the Valley's insidious bro culture — though even that, which once felt forward-thinking, could seem out of sync with the current moment." Thanks for reading! We'll have updates all day at Axios.com.